I pinky swear that I am not a food blogger, yet this post is 99% food and coffee. My food photography is not on a high enough level to compete with the real food bloggers out there, but I wanted to share the places we visited during our two-day stay in Rotterdam last week. I always dive into my plate without checking if my shots are kind of blog-worthy, so forgive me for the blurry coffee cups and such. I didn’t want my lattes to be cold. If the photos even make you slightly hungry than I am pleased. Ready? Set… GET HUNGRY! 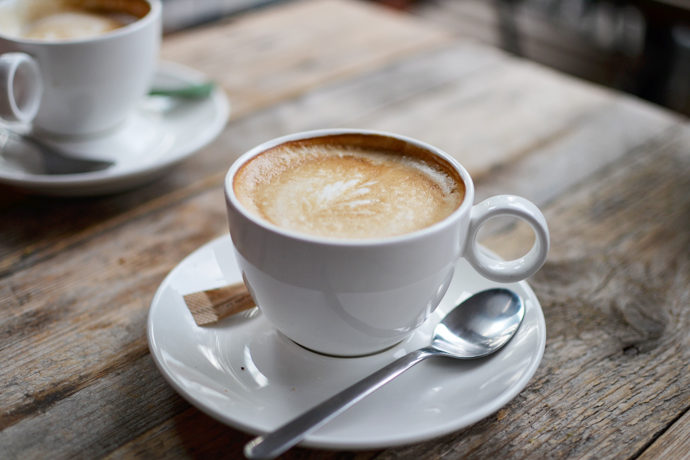 What better way to start your day than with a creamy cappuccino and a light breakfast (so you can eat more along the way). Baker & Moore was next to our hotel and I had seen many raving Instagram-posts about it. Who else does their holiday research on Instagram these days? Apart from classic breakfasts and a good ole cuppa, you’ll also find create-your-own sandwiches, slow juices and high tea on the menu! YUM! We arrived in the Blaak station just minutes before lunch time. We were hungry and I was fishing for my list of written places I wanted to eat at in my purse when I looked up to avoid a low flying seagull and saw the Markthal. The construction itself is as impressive as the different foods they sell in there. 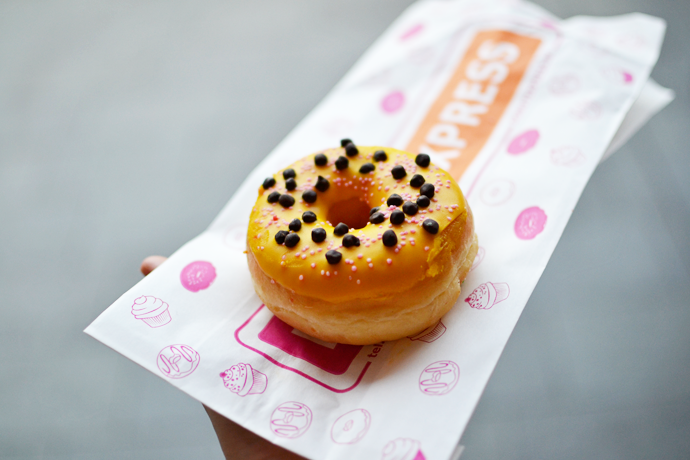 K had middle-eastern bites, but since my clients at work basically oversugardose me with baklava, I went with donuts from Donut Express. Because… I make no sense. 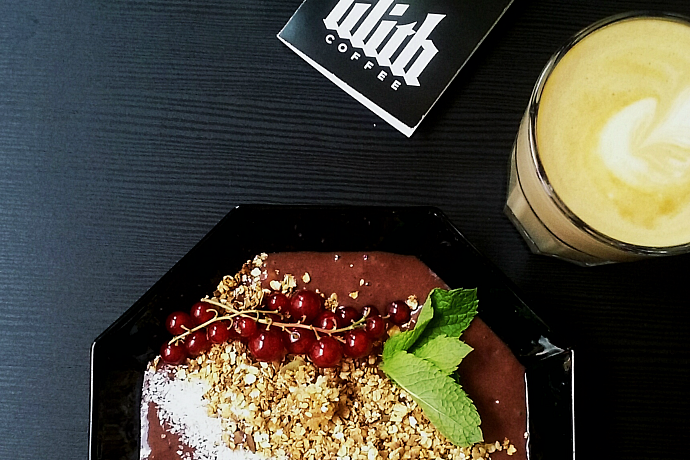 If you want a no-fuzz, but hipster breakfast or brunch: go to Lilith! 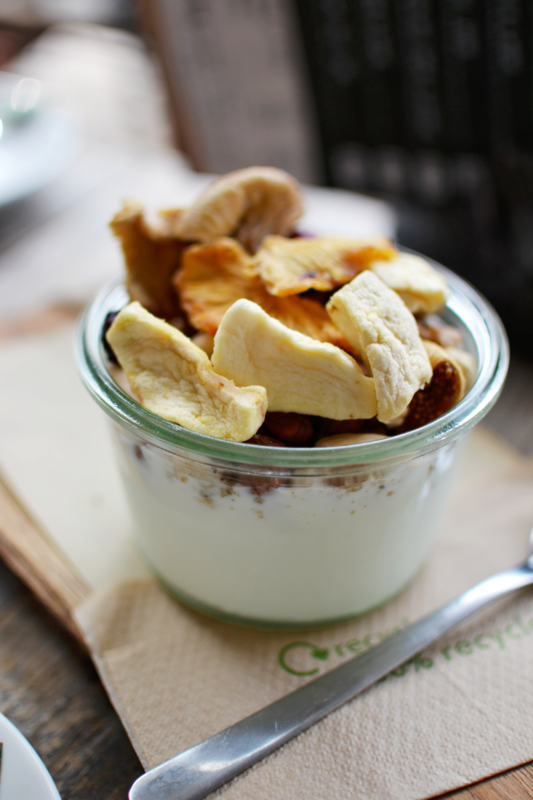 American pancakes, acai bowls, homemade granola or eggs Benedict: this place’s got it all! I had the acai bowl, and although nothing could ever tip the Acai bowl I had in Barcelona, they did a nice try! A latte on the side and I was ready to kick some slow people’s butts in the shopping streets. Kidding, I behaved. We came to Rotterdam for doing a whole lotta nothing except a whole lotta eating (and walking…), so I had only one shop-stop on my list: De Bijenkorf. This luxury department store has all your favorite brands spread across a glorious fashion department, all the beauty counters of your dreams and an extensive array of home goods. My personal favorites Reiss, Ted Baker and Jo Malone are represented. I almost ran out of Jo Malone Pink Peonies eau de toilette, so I brought home a new bottle of that. I also saw a gorgeous lace dress at Reiss, but was a good girl and didn’t splurge. When I asked a friend what coffee bar I shouldn’t miss she answered directly with Hopper. 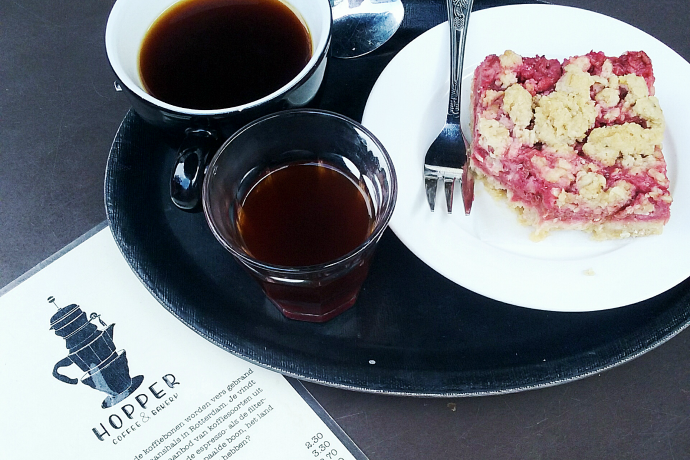 Hopper has two locations: Zwaanhals and Schiedamse vest, which is where we went. They roast their own coffee and on top of that have an in-house bakery that Specializes in sourdough bread. You can sit down for lunch or enjoy a beautiful brew with a (vegan/glutenfree) treat on the side. Hola supermercado telebancos por aquí. The people of Supermercado, a Latin-American cocktail bar & restaurant, are probably sick and tired of hearing this line. Any Dutchie or Belgian knows the ridiculous lyrics of De Jeugd Van Tegenwoordig’s golden summer hit “Let’s get Spanish” and I bet the staff hears it a million times per day. Supermercado offers the best of the Latin-American cuisine such as delicious pulled pork taco’s, spicy ceviche, sweet potato fries and yummy ensaladas on the side. 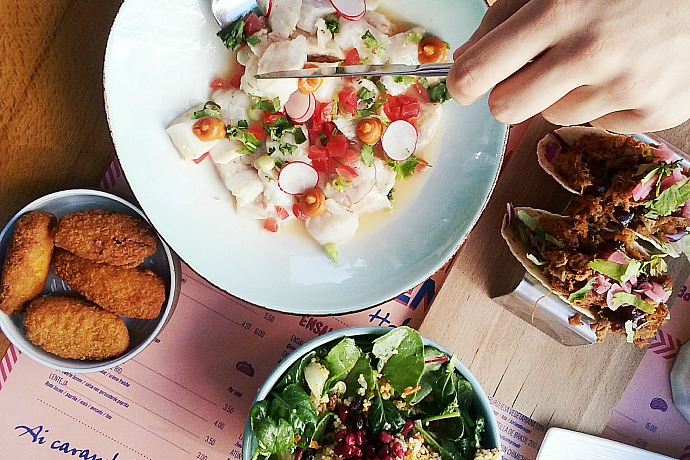 You can have full meals, but also enjoy tapas if you like. Located on the crossing of Witte de Withstraat and Schiedamse vest it was super close to our hotel – see below! – and the perfect place to have dinner before our evening walk to the Noordeiland. After our walk we came back to Supermercado to try their cocktails. 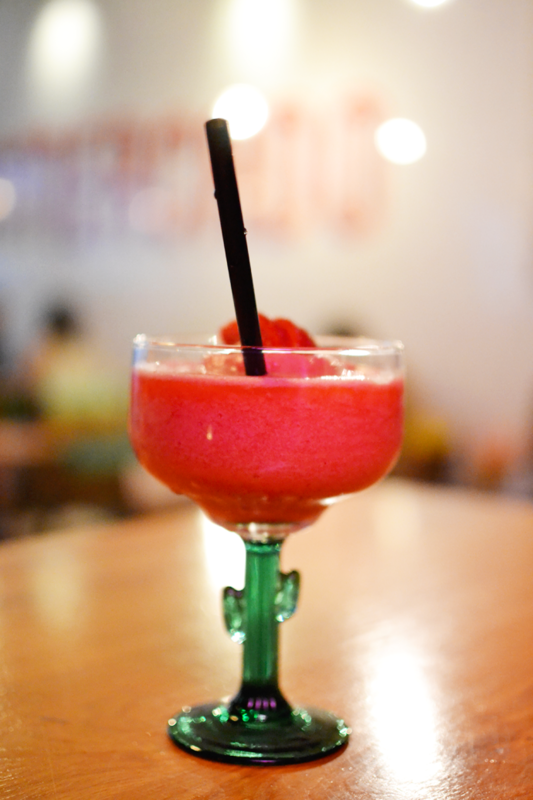 A frozen strawberry Daiquiri always wins me over, so that’s what I had. Bonus points for the cactus glass! Next to the classic cocktails, Supermercado also has a list of unique cocktails with catchy names that I cannot wait to try a next time. Yes, I’ll be back! We stayed in the EasyHotel on Westblaak for the night. A clean bed and a shower, nothing more or less, for €40/room per night. Now that’s how I like it. The hotel is right behind the shopping district, one block from Witte de With straat and both Lilith and Baker & Moore are within a 100m radius. 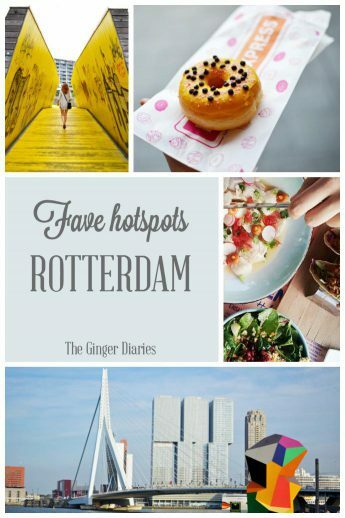 Planning a trip to Rotterdam? Pin this post on Pinterest ! Yum! I think your photos look great. I want to eat all of this. 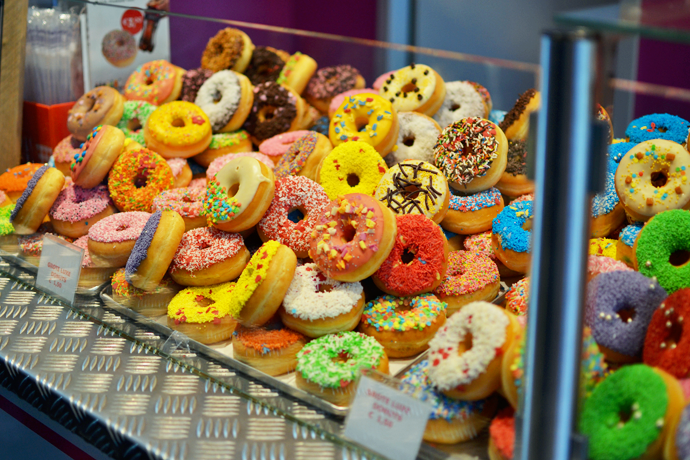 And I’ve never seen a donut display like that before! I love it! And that’s coming from someone who lives in the land of the donut?! Haha. 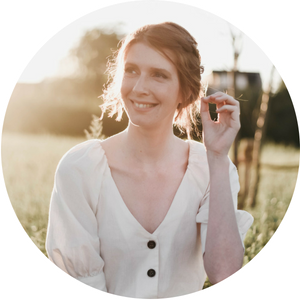 I had my friend over in Brisbane and it was tricky picking good places to stop and eat with kids in tow – never thought of looking up instagram for the best! I used both Instagram and Pinterest to plan my trips. Instagram is really good to find places to eat or have a coffee, you just have to find a few local bloggers and you should be set! Pinterest is a good source for places you have to visit or find blog posts about certain cities. Echt leuk he?! En de cocktail was ook zalig lekker. Zo frozen stuff op een warme zomeravond: hmmmmm. Omg die donuts doen mij spontaan honger krijgen! hhaha ik ken het gevoel dat je snel aan je eten wilt beginnen!